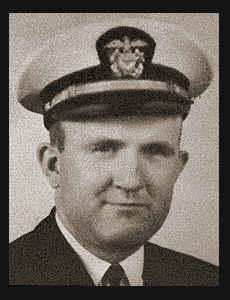 Lt. Harold F. Mathis, son of Mr. and Mrs. H .F. Mathis, graduated from Okla. Univ. and A&M College; husband of the former Lois Reno. Entered Navy in 1942, trained in Pittsburgh, Pa.; is now on duty in Wheeling, W. Va.